In a busy office or building, we know that your premises need to look good inside and out. A tidy office makes all the difference to your work environment. An Extra Pair Of Hands will cut the clutter and keep your workspace bright and inviting with our office cleaning services. Our team can ensure that all work areas are hygienically clean. We can also clean all the windows inside your office, and take care of your grounds as well. Contact us and we can arrange for our team leader to meet you on site and tailor an office cleaning service particular to your business. A free quote is provided as part of this on site visit. 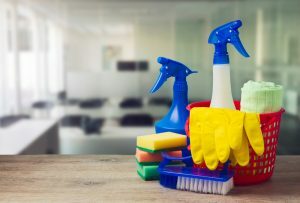 Our office cleaning service is provided in all our New Zealand service areas – Feilding and Palmerston North in the Manawatu, the Hutt Valley and along the Kapiti Coast, Wellington city and suburbs, and Christchurch.